With the nights drawing in, and Halloween nearly upon us, we’ve reached that time of year when everyone is particularly aware the nooks and crannies in their home. It might be the shadowy corner in your hallway, the poorly-lit cellar or even the cupboard under the stairs! Most multi-storey homes have a cupboard under the stairs. They’re a useful spot for hiding hoovers, shoes and even the occasional boy wizard. However, the awkward dimensions of these enclosed spaces can make it difficult to really make the most of them. A good alternative is to leave this area open-plan. Open-plan spaces are, by their very nature, highly adaptable. You can put in a display cabinet, bookshelf, shoe rack, or even a bean bag or seat to make a reading nook. 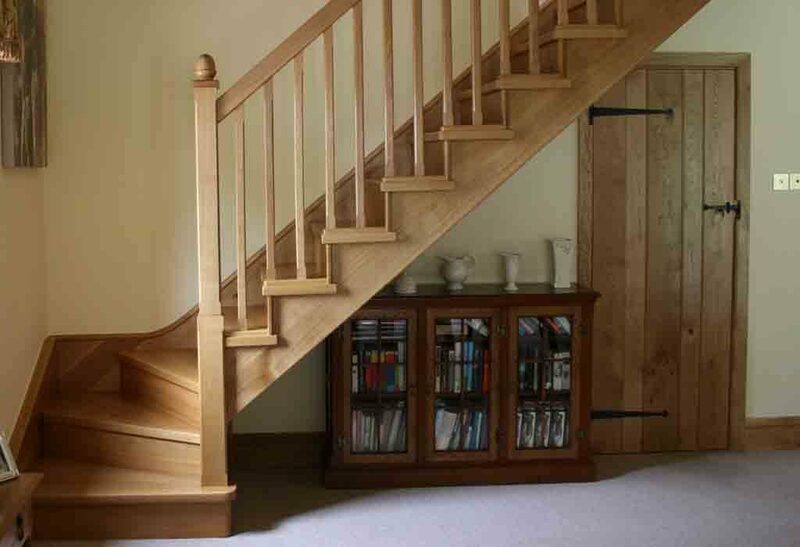 Our straight and kited solid wood stairs are ideal for homeowners looking to add a touch of traditional style and class to any open-plan room. 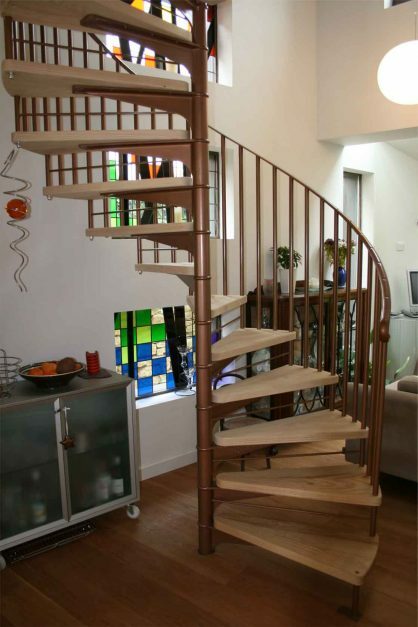 Most people are aware that spiral staircases provide a compact footprint, making them ideal for small spaces. But the benefits don’t end there. As the spiral rises, it also creates usable floor room underneath. 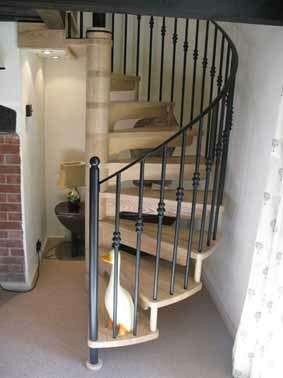 Spiral staircases often provide the ideal access solution in slightly awkward corner spaces or alcoves. With a little imagination, these areas can offer a great location to showcase art, sculptures or store your spare Ghostbuster’s proton packs. Even the compact space beneath a square spiral staircase is perfect for smaller items such as books, boots or pet’s beds. 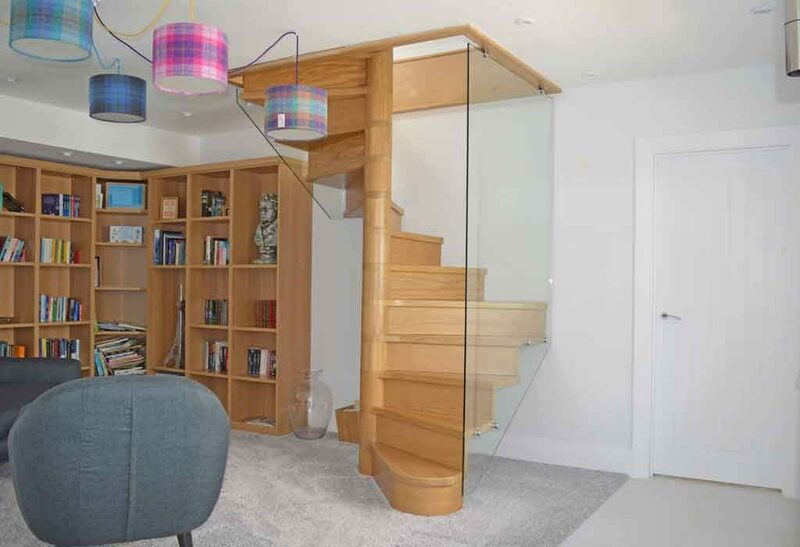 As spiral staircase only take up a small section of floor space, there’s no need to close off the area beneath them. That means they can be fitted in the centre of a room, and the ‘problem space’ beneath the staircase can simply function like any other area of the room. Of course, the space below the staircase isn’t the only place you can store things. One of our particular favourites recently was the fantastic Stockholm Winebar. What could be a better distraction from the dark than picking up a bottle of full bodied red on your way down or up the stairs! 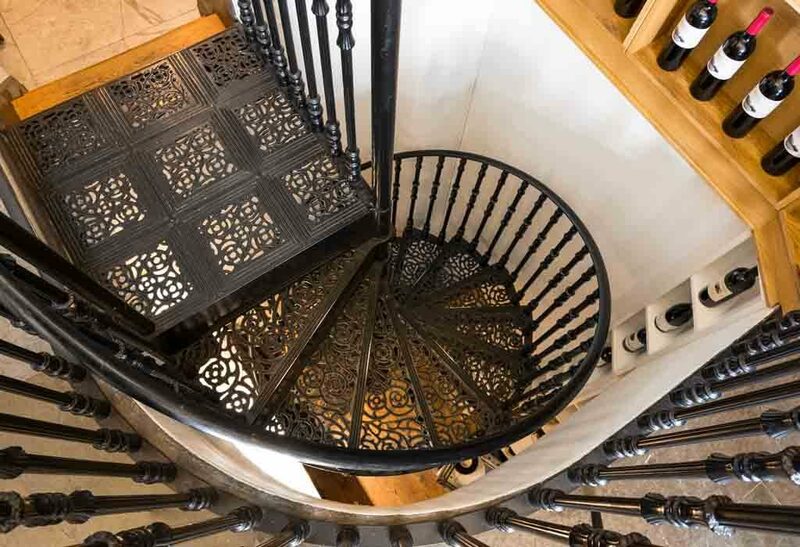 We have lots more staircase inspiration on our Pinterest Boards, so take a look if you need a creative spark to start your staircase story.